Victim: Ronald Macfadyen, a 73 year old male from Chesterfield Township, Michigan. At approximately 6:00 am on Thursday (September 1, 2016), Chesterfield Township Officers responded to east bound 23 Mile at the I-94 overpass where 911 callers were reporting a pedestrian accident. 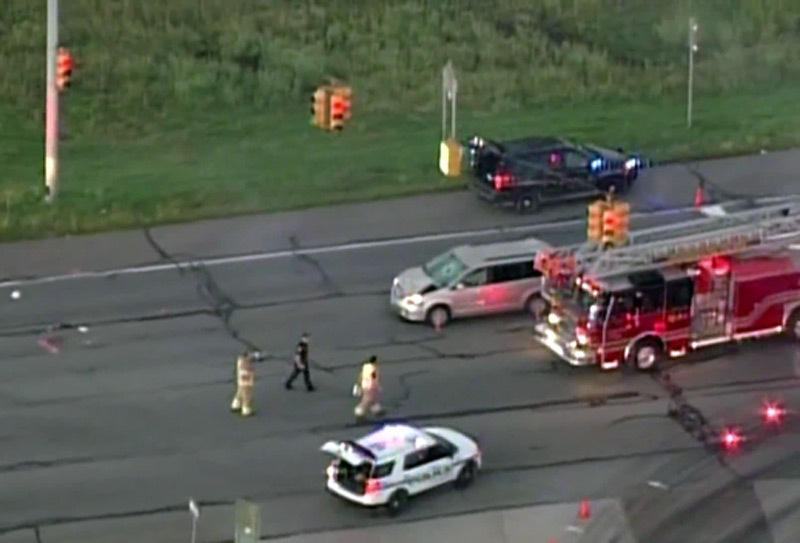 The pedestrian, Ronald Macfadyen, was conveyed to McLaren Macomb hospital with serious injuries and was pronounced deceased a short time after his arrival at the hospital. The driver that struck him was identified as a 41 year old Chesterfield woman, who was the original 911 caller, and had remained at the scene in her 2012 Chrysler mini-van. The on scene investigation, complied with witness accounts, indicates that the 41 year old Chesterfield woman was driving east bound on 23 Mile Road at the west side of the overpass, when she struck Ronald Macfadyen, who was on foot in the middle of her lane. Investigators at this stage cannot explain why Mr. Macfadyen would have been in the roadway at this location as it is an unusual location for pedestrians to cross 23 Mile Road. Speed, alcohol, and drugs do not appear to be contributing factors in the accident at this time. The investigation is ongoing and anyone that may have witnessed the accident, or has additional information, is urged to call Detective Frank Unger at 586-949-3721.